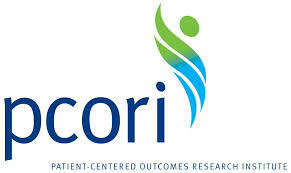 PCORI came about through the Patient Protection and Affordable Care Act (PPACA) in 2010. Its role is to “improve the quality and relevance of evidence available to help patients, caregivers, clinicians, employers, insurers, and policy makers make informed health decisions.” This is done through comparative clinical effectiveness research (CER), specifically focused on Patient-Centered Outcomes Research (PCOR). Applicable plans must pay fees by July 31, 2015 using IRS form 720 (Quarterly Federal Excise Tax Return), which can be submitted through the Electronic Federal Tax Payment System (EFTPS). This only applies to the second quarter of the year. For 2015, fees are $2.08 per the average number of lives covered during the policy or plan year. The average number of lives covered can be determined through one of three methods: actual count, snapshot, or Form 550. Third party administrators are not permitted to remit these fees for plan sponsors. For more information on PCORI and to determine if your self-insured plan qualifies, please contact us.